Are you planning on moving in the next 5 years? If so, consider replacing your windows. This is a great way to expedite the resale of your home. Everything else being equal, a house with brand new windows will sell faster on the Winnipeg market compared to a house with older windows or wooden doors. New windows will improve the curb appeal of your home, and give the impression that your home was well maintained. They help give a great first impression and are definitely a great selling feature. The investment in replacement windows will in turn help you sell your house for more money. Everyone’s tastes are different, and the windows you prefer may not be what the market wants. See what’s trending by asking your local window company which products sell the most. It is important to prioritize functionality. Taste can be debated, but you can’t argue against a practical product. Don’t go for the most expensive windows. Find a happy middle ground where you can improve the look of your home, while keeping your renovation budget in mind. Window panes coated with energy-saving film stand out because of their considerable potential for saving heat energy. 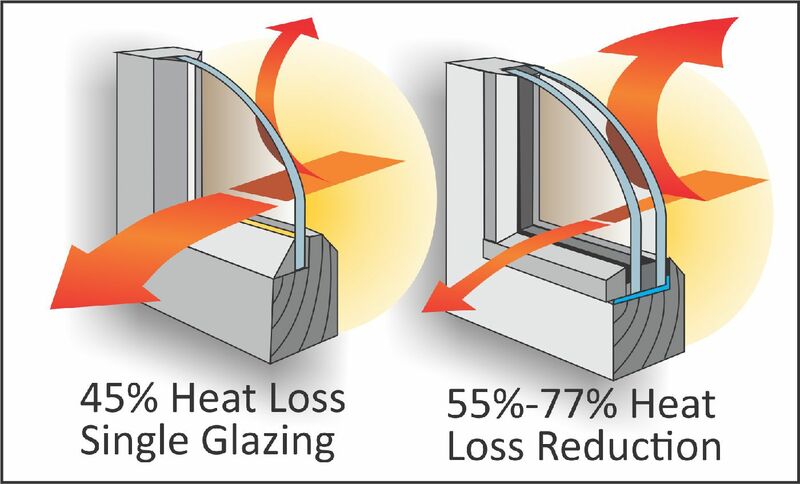 Double glazing is also a great option if heat loss is a concern. With energy-efficient windows, you will save money all year round. These types of products allow you to keep the heat inside during the winter, and keep the heat outside during the summer. Here is an article from the government of Canada on replacement windows for energy saving. Older homes with windows that have not been updated for many years can easily be opened from the outside. This may be very useful when you forget your keys, but for many of us keeping the troublemakers out is a little more important. If safety is a big concern for your family, a casement window is a great solution. It is practically impossible to open a casement window from the outside without breaking the glass. An aluminum casement is also more resistant than a PVC one. Additionally, Karufa Window and Door carries an optional special glass that has been sprayed with a thin film that promotes the disbursement of the energy from an impact. This thin film is surprisingly efficient, and keeps your window from breaking, even if someone hits it as hard as they can with a baseball bat. You may be experiencing a bad case of window fogging or cracked windows, but this doesn’t mean that you need to replace the entire window. You can save yourself some money by reusing the window case and only replacing the glass. If you are looking for only replacement window glass and are considering doing the work yourself, here is an article from Family Handyman on how to do it yourself. At Karufa Window and Door we offer high-quality affordable PVC replacement windows for home-owners in Winnipeg and surrounding areas. We understand that Manitoba homeowners are looking for windows and doors that perform in all weather conditions. Unfortunately, the minimum up-to-code windows will not keep their appearance after a few winters and they are harder to maintain. Fortunately, our staff of professional window installers can help make sure your replacement windows won’t have to be replaced again for a very long time. We pride ourselves in offering only the best windows for the cold Manitoba winters. Karufa offers many great options to fit your home, such as Picture, Casement, Awning, Single Slider Lift, Double Tilt Slider, Single or Double Hung Tilt, our “New” basement 4800 series Hopper window that actually works, and specialty shaped and sized windows. We only carry top-of-the-line products. See more of our work in our photo gallery. The insulated glass is made with Warm Edge Super Spacer – www.superspacer.com from Edgetech Industries. The silicone, all foam formula of Super Spacer is proven to be less conductive, blocking heat from escaping or entering through the glass edge, providing optimal thermal performance and the lowest U-Value among dual-seal systems. Click on the link below for more details. THE BENEFITS OF LOW E GLASS. The sun produces short range radiation. Manitoba Hydro Power Smart Program recognizes features of our windows as added value. This program lends money to home owners to upgrade their windows provided they meet certain requirements. "Low-e and argon gas brings extra value to your windows and your home."